We spend all year thinking about it, a couple of months arguing over it, and countless hours tabulating your votes for it.  Here is our list of Maine’s best travel & play for 2017. How’d your favorites do? 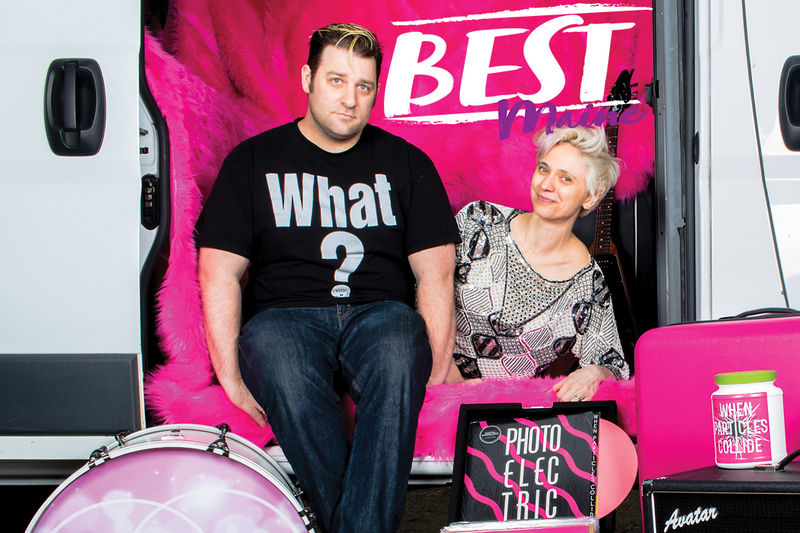 After two full-length albums, a couple of EPs, and a 2014 Best New Artist nod from the Boston Music Awards, Bangor natives Sasha Alcott and Chris Viner announced this spring they were done with day jobs and committed to life as a full-time touring band. The husband-and-wife rockers subsequently launched a 50-show summer tour, from Maine to Colorado, between May and August. Lucky for the towns along the way — the driving, hooky, power-pop duo puts on a helluva show. Viner attacks his drums, and guitarist and vocalist Alcott stalks her mic with Jagger-like stage presence. The sound is Black Keys meets Joan Jett meets Fountains of Wayne — and if that means nothing to you, just know that it’s loud, catchy, and super worth catching at a venue near you. 273 Congress St., Portland. 207-536-4778. Print is the state’s best bookstore because its owners, Emily Russo and Josh Christie, and their staff so clearly believe that books are not nerdy or niche-y but cool. Their affection is evident in the themed, impeccably curated table displays and in the significant shelf space given over to small presses, indie publishers, and titles from the margins of the lit world (art books, graphic novels, heady tomes about records and video games). 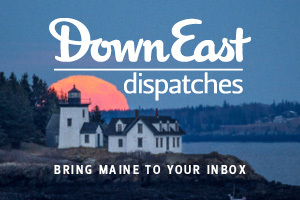 But the Munjoy Hill shop gets the most kudos for its events series, which often pairs a Maine scribe with a visiting writer for a living-room–style chat — much more engaging than the staid old Author Stands and Reads model (full disclosure: Down East has partnered with Print on such an event). In the eight short months since it opened, the store has measurably elevated the state’s literary scene. 31 Maple St., Lewiston. 207-782-2211. 517 Forest Ave., Ste. 2, Portland. 145 Main St., Winter Harbor. 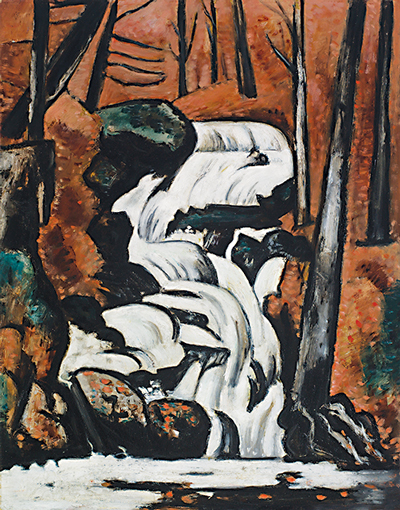 left to right: Smelt Brook Falls, 1937, Oil on commercially prepared paperboard (academy board), 28 x 22 7/8 in. (71.1 x 58.1 cm). Saint Louis Art Museum, Eliza McMillan Trust. Three Flowers in a Vase, 1917. Oil and metal leaf on glass, 13 1/8 x 7 5/8 in. (33.3 x 19.4 cm). Private collection. Canuck Yankee Lumberjack at Old Orchard Beach, Maine, 1940–41. Oil on Masonite-type hardboard, 40 1/8 x 30 in. (101.9 x 76.2 cm). July 8–Nov. 12. Colby College Museum of Art. 5600 Mayflower Hill Dr., Waterville. 207-859-5600. 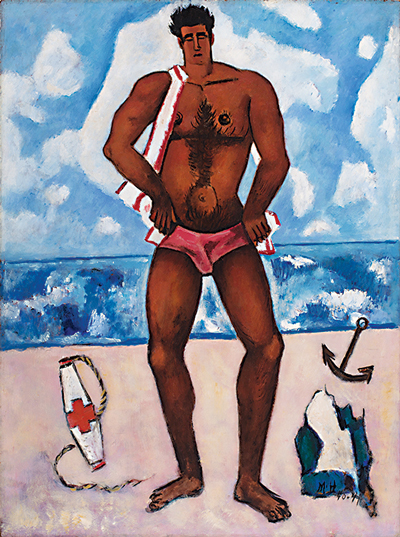 In 1937, at age 60, Lewiston-born artist and inveterate globetrotter Marsden Hartley returned to his home state for good, writing that he hoped to become “the painter from Maine.” Not a painter from Maine — the painter. Colby’s landmark retrospective presents the fruit of that ambition: some 90 Maine-centric paintings and drawings, from moody landscapes reflecting Hartley’s troubled childhood to fanciful portraits of sunbathers at Old Orchard Beach. 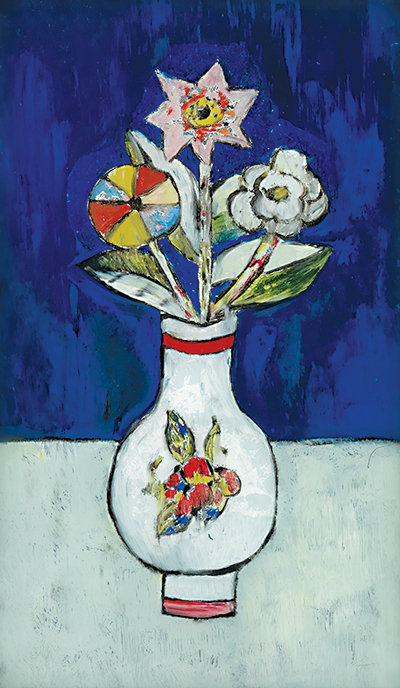 The show includes rarely seen work and pieces by artists who influenced Hartley, on loan from the Metropolitan Museum of Art, which collaborated on the show and mounted it this spring (we sent a contributor to check it out). At the time, one WNYC critic called it “the best museum exhibition in New York right now.” We’re psyched to see it in Maine this summer. In her debut episode in early 2015, Portland’s Megan Tan declared that her podcast would tackle “what no one teaches you: how to maneuver your 20s.” Thankfully for listeners (particularly those of us feeling a bit saturated by hyper-scrutiny of millennials’ angsts and appetites), she’s done way more. In three seasons chronicling life after a college degree, Tan’s ruminative, diaristic podcast has explored the seductive lure of urban living, the pleasures and perils of adult relationships with parents, and the struggle to marry one’s passion to one’s work — universal themes, all. 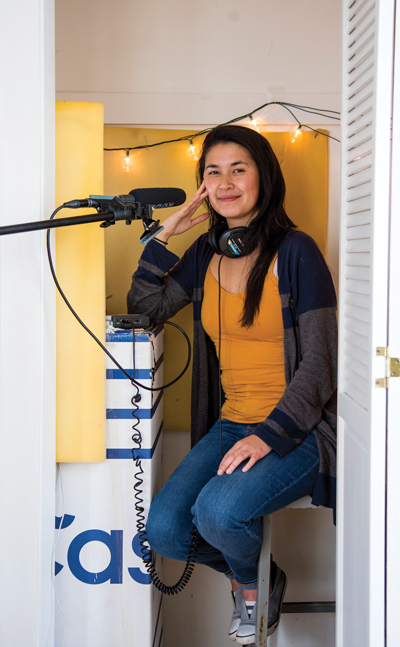 Tan (who records in her closet) is an earnest and resourceful reporter, interviewer, and soliloquist, and The Atlantic hailed her podcast as one of last year’s best. Millennial is well worth streaming, regardless of your generation. 538 Congress St., Portland. 207-828-5600. After executive director Nat May, who helmed Portland’s SPACE Gallery for 13 of its 15 years, stepped down last fall, it seemed like a good time to take stock of what SPACE has meant to the state’s arts community. Answer: an awful lot. The versatile downtown venue hosts theater, film, dance, artists-in-residence, literary events, rock shows, jazz shows, burlesque shows — much of it local, but SPACE is also a welcoming room for fringe-y and genre-blurring touring acts that may lack a natural habitat in our petite cultural capital. In a single week last month, you might have ducked into SPACE and caught a documentary on urban planning, a Pulitzer–winning novelist, a visiting Wisconsin folkie, or a rock show billed with adjectives like “dance-core” and “titanic shoegaze.” Here’s to 15 more years of Portland’s indefinable, indispensible omni-venue. Two of Maine’s Pulitzer-winning novelists turned to the short form this year, bundling thematic short stories to great effect. Richard Russo’s Trajectory (Knopf; hardcover, 256 pages, $25.95) is a stirring quartet of novellas starring some surprisingly sympathetic white-collar protagonists, while Elizabeth Strout’s Anything Is Possible (Random House; hardcover, 272 pages, $27) peels back the layers on a small town through stories of its eccentric residents. Meanwhile, master of the form Ann Beattie spins 13 wistful tales of travelers, many set in Maine, in The Accomplished Guest (Scribner; hardcover, 288 pages, $26). Three inventive books of poetry from Maine poets at the top of their game: Gary Rainford’s Liner Notes (North Country Press; paperback) collects 64 poems about 64 musicians, from Ella Fitzgerald to Uriah Heap. Christian Barter’s Bye-Bye Land (BOA Editions Ltd.; paperback, 112 pages, $16) is a Whitmanesque meditation on America that deftly weaves borrowed text, from Sontag to Snoop Dog to Senate hearings. Jacques Rancourt’s Novena (LSU Press; paperback, 88 pages, $17.95) is a series of devotional poems on, among other things, growing up queer in rural Maine. Oprah-acclaimed novelist Anita Shreve’s The Stars Are Fire (Knopf; hardcover, 256 pages, $25.95) is a melancholy drama about longing and loss, set against the backdrop of the 1947 Bar Harbor fire. Wittier, if no more uplifting, is Down East contributor Ron Currie’s The One-Eyed Man (Viking; hardcover, 336 pages, $26), a darkly comic, surprisingly poignant satire of a damaged crusader for truth in a post-fact U.S. If you’re among the thousands of would-be diners who can’t get a reservation at The Lost Kitchen in Freedom, you may find solace in chef Erin French’s gorgeous new cookbook, The Lost Kitchen (Clarkson Potter; hardcover, 256 pages, $32.50), which shows off Maine land- and seascapes alongside flawless dishes. 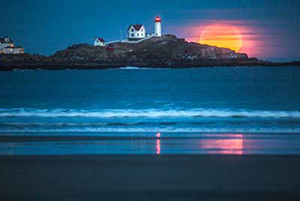 Lincolnville cooking-school proprietress Annemarie Ahearn (also a Down East contributor) has won acclaim for her communal feasts served on full-moon nights. In Full Moon Suppers at Salt Water Farm (Roost Books; hardcover, 240 pages, $35), she’s gathered recipes for 12 seasonal menus. Both books skew rustic and wholesome, and both are as appropriate for the coffee table as the kitchen. 5 School St., Stockholm. 207-896-3196.